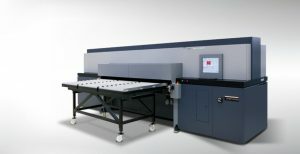 Our Durst flatbed printer is the best machine in its class. Offering top quality at fast speeds. Enabling great pricing. Our latex printer is able to produce mesh and pvc banners at great quality with no ink peeling off the banners. Our Swiss Q Nyala offers top quality along with a white ink option for speciality jobs. Our Zund G3 cutting table makes cutting efficient and precise. 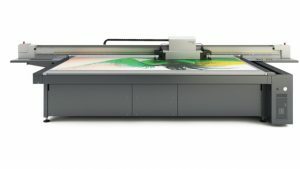 Welcome to Mediapoint, the home of the best large format and flatbed Australian trade printers. What makes us different to any other wholesale printing company is that we focus on working with trade customers only. We define trade customers as anyone who is on selling print to their customers. By doing this we can be the best at print. That means our customers can be the best at what they do which is helping their customers. We believe we can help more businesses win by using this tactic rather than being all things to all people. We believe that companies that deal in trade and direct to market can never be a completely trusted company based on their actions for the trade. By giving trade work to these companies, it is putting more profits in these companies for their marketing for targeting more retail work. So we believe the trade ends up losing when this happens. If you look at our actions we do not do retail work at all. If you do not believe us, then put us to the test. Over the years we have developed some of the best processes out of any of the Australian trade printers. This follows our philosophy of being lean. By having this mantra, we can get orders fast and pass on the savings to our customers who have more room for margin. From our wholesale printing customers, we expect them to use our system and to supply print ready artwork. In return we can offer them fast and reliable trade only products. The types of customers we predominately work with are printing companies, marketing agencies, print brokers, signage companies and other types of resellers. We aim to partner with our customers rather than take orders from customers. Because of this it does not bother us if a customer is ordering micro orders. From our experience when our trade customers get to know our system and feel confident in it, they end up selling more. This in turn means their volumes and their profits increase helping them to win. Over 80% of our products work that if you order in our system by the cut off time, it will be ready to dispatch the next business day at 1pm AEST if it fits certain parameters. 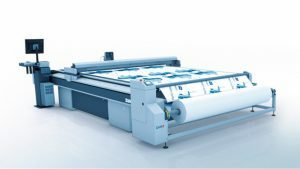 As we are dealing with trade customers only, we feel as though we need to give lead times which make it look like our customers are printing it themselves. We are constantly upgrading and bringing in equipment which allows us to handle more square meters in a shorter amount of time reducing the lead time on larger volume runs as well. We believe in automation and our utopia is becoming the first large format lights out factory in the world. We are not tied into any brands or technology. We believe each piece of kit from each manufacturer has its advantages and disadvantages. We believe in having an even spread of equipment so we are using the best technology for that product. You will never hear us say that we only stock this brand of printers. We believe that is limiting potential advantages to our customers in quality as well as speed. When people mention Mediapoint, the consistent message is that everyone knows that we are the best at what we do which is large format and flatbed printing. The reason for this is we are a pure production house and that is all we do. Being reliable means getting out every order on time to the quality the customer expects. We do not want our trade customers getting a phone call from their customers saying the quality is not good enough. That is what we believe being reliable is. With Print quality, our definition of ‘quality’ is simple. It is no banding in the prints at a high enough dpi for that product and print process to be at the top end of the market. We believe automation is key to success in all areas of our processes. From our frontend right up until dispatch. By doing this it brings down lead times but also cuts out ‘human error’ which affects the reliability of all companies. Being in Print colour management is a key part of our business. We believe the best process is building solid colour profiles. In return our customers will need to supply their artwork to our specs. Because of this we are able to process and output 100’s of jobs a day to the highest colour standards. Companies where you see them needing to constantly print charts and match colours manually on a constant basis, we believe do not have a handle on their colour management. Reliability does not just fall solely on us. We need to continue to strive for developing relationships with all our business stakeholders. Our suppliers and distribution partners need to fall in lines with our criteria. Even our customers need to adhere to our system and we are not afraid to let our customers know if they are not a fit for us. We know that if they are not a fit and cause issues to our system it potentially puts all of our other customers jobs at risk. We believe in production in Australia. We believe as soon as a company starts thinking of producing in another country their actions about being ‘reliable’ is a fabrication. The reason being is you cannot be reliable if you are losing control of production. We oversee everything and only print in-house.